Two of the samples required for the International Diploma in Crochet Part 1 are seven different, usable, crocheted buttons and three crocheted edgings in DK yarn appropriate for adding to the front edges of a plain edge-to-edge knitted/crocheted jacket. I have been working on these during the last couple of weeks and sent them off to be assessed last week. Each of the buttons had to be different so I settled on covering a flat button (lime green), a button with a shank (turquoise), a small round one (cream) and a metal ring (multi) which I covered in double crochet before weaving in and out of wheel-like spokes. 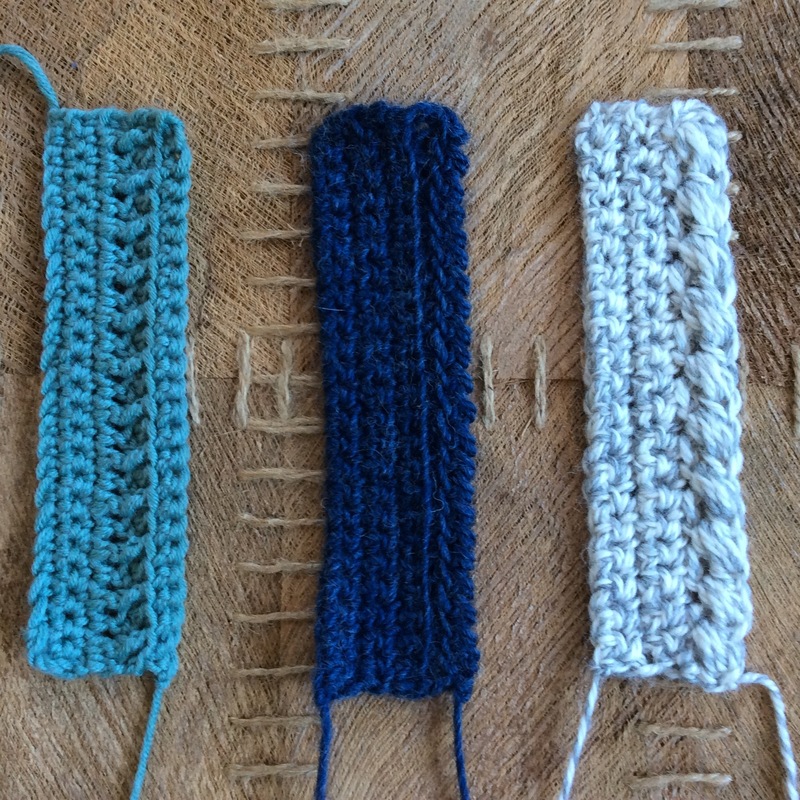 These were all worked in fine threads of differing thicknesses in amigurumi style, spiral double crochet. 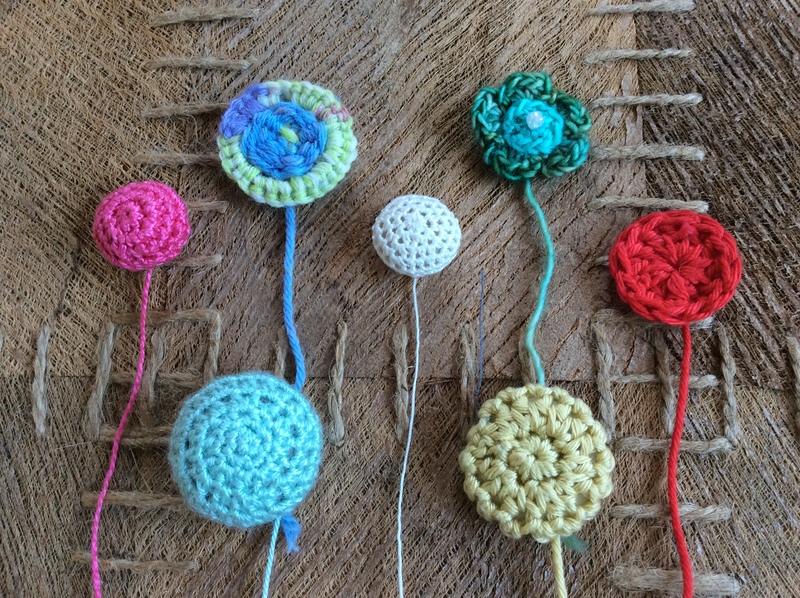 The remaining three needed to be firm enough to hold their shape by either stuffing or working very firmly on small hooks: a red disc of trebles, a small pink globe filled with toy stuffing and a turquoise, variegated flower. Let’s hope my mentor approves! I can’t truthfully say that I found this to be a fun exercise as I found it quite fiddly. The buttons also needed more finishing off with a needle than I ever would choose. 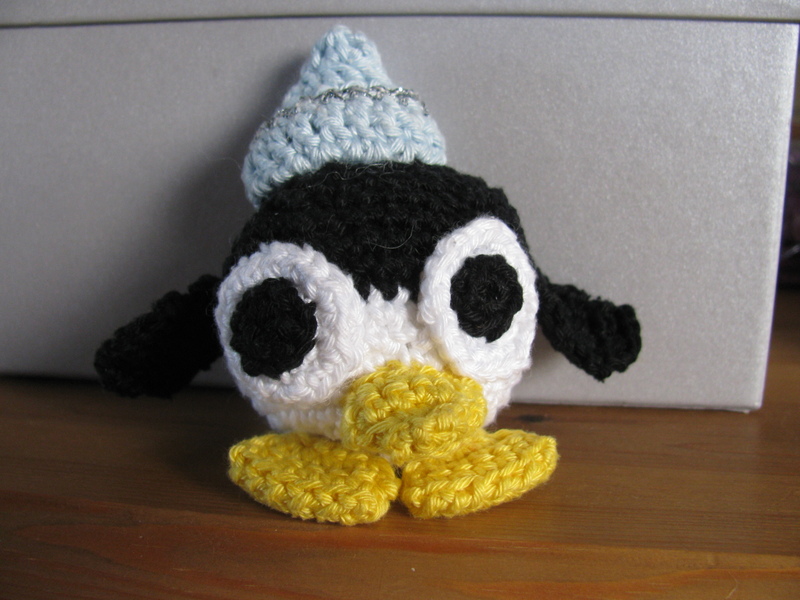 My friends all know that I go for a crochet join rather than a stitched one wherever possible! 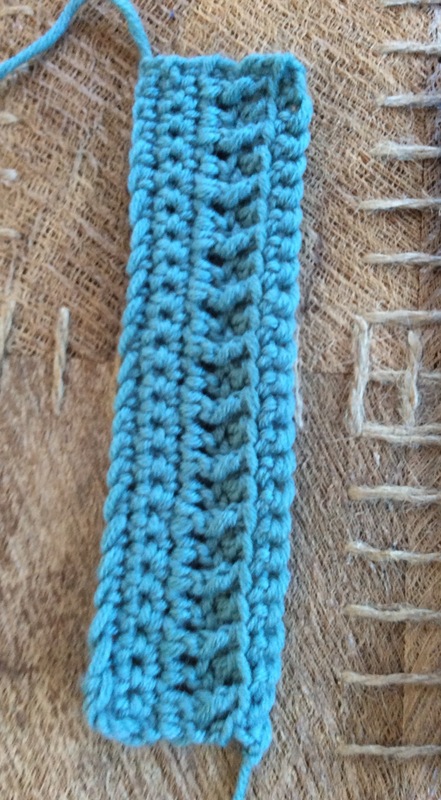 This first edging is worked in a tweedy Scandinavian yarn called Sandnes Garn Robust and the last two rows form the half treble crochet puff stitch which I found in Pauline Turner’s book of finishing techniques. Wendy Ramsdale DK provided a lovely woolly look and feel to this edging where I experimented a bit with working into back loops only. 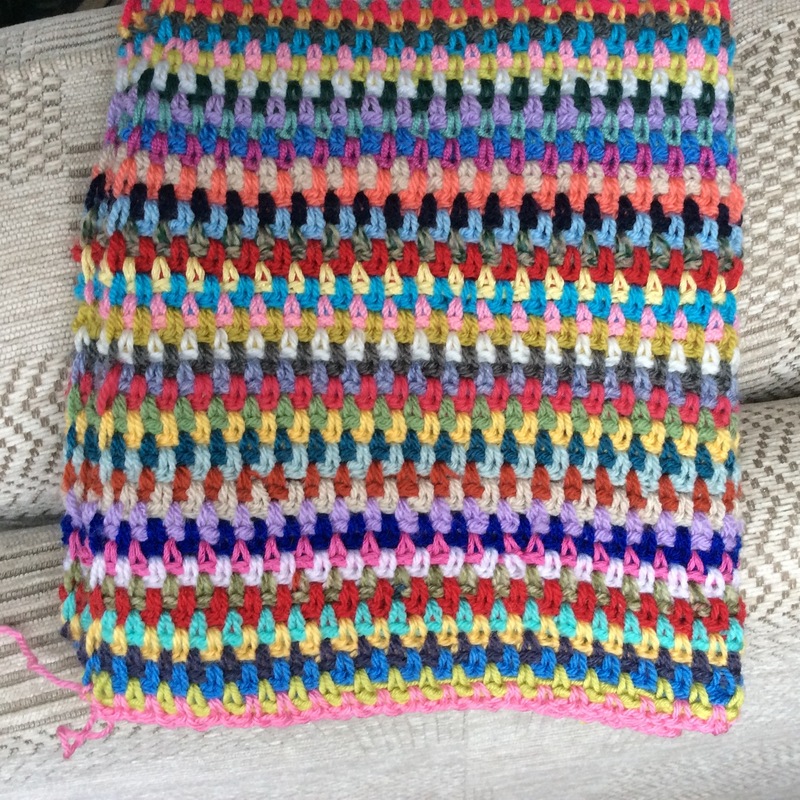 Finally, an edging based on an American afghan border which I had, using a combination of trebles and front post trebles. 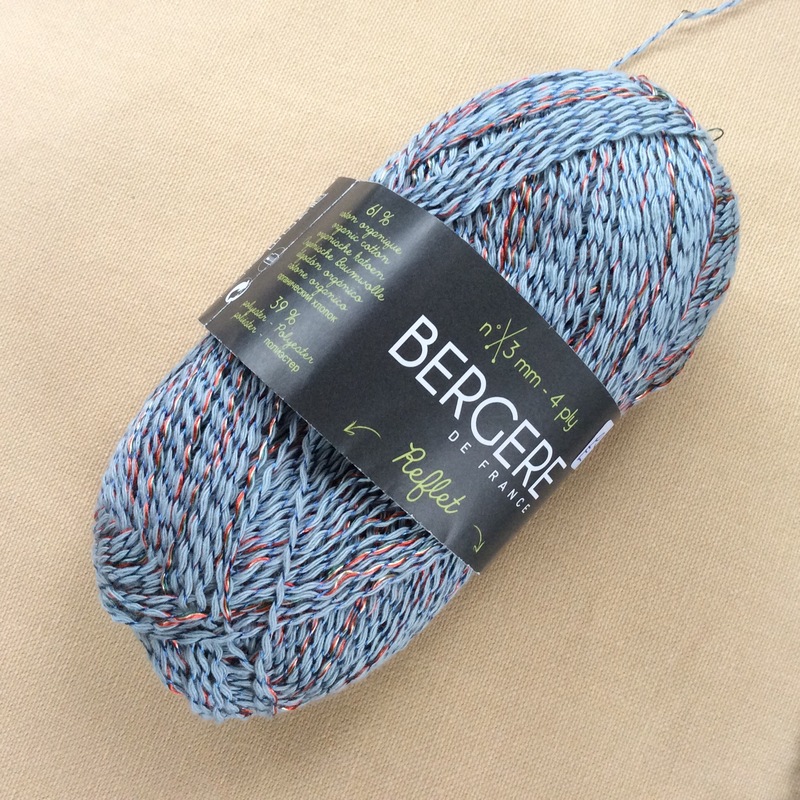 Aside from these samples, I just could not resist starting a couple of extra projects …… different requirements for car journeys, watching TV, knitting group etc. Well, that’s my excuse!! So, here’s a glimpse of a real stash-buster that I have on the go using one of my favourite stitches – linen stitch, also sometimes referred to as woven or up-and-down stitch. It’s not a fast grower but I love the way the resulting fabric lies so flat ….. So there we are …. plenty to keep me busy over the next few weeks not to mention coming to grips (unintentional pun!) with Broomstick and Hairpin crochet for my course. 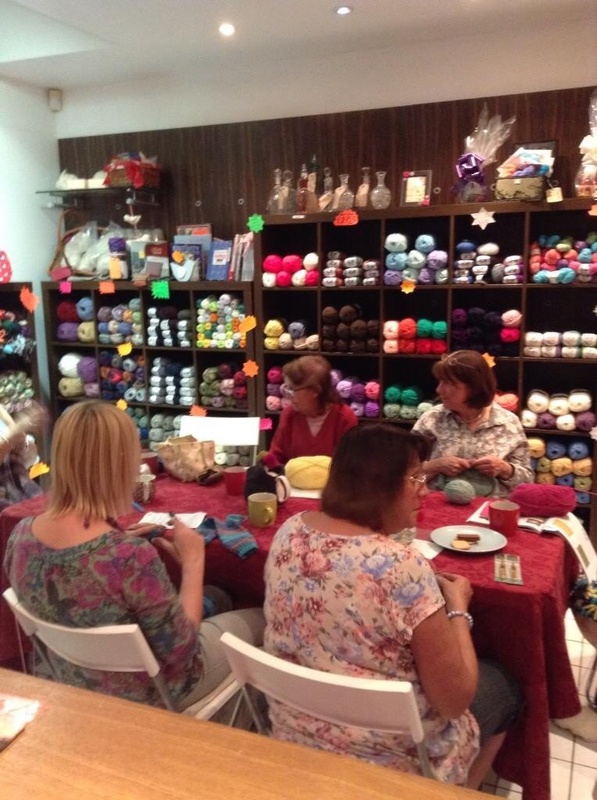 Enjoy your knitting and/or crochet wherever you are and be inspired to try something new. We all know how beneficial any crafting is. Hello again. It’s been a while since I last wrote …. all down to a combination of holidays, hot weather and other bits and bobs. So, it’s good to be back – albeit in rather dramatic fashion. My first crochet session of the autumn just happened to coincide with my lovely daughter’s nomination for me to do the Ice Bucket Challenge. Instead of starting our Monday morning with the Magic Loop as I had planned my lovely ladies found themselves armed with iPhone, IPad, camera, towels and a bucket full of icy water. Hot shower and hot coffee later we got down to the business in hand which was to introduce my group to the endless possibilities of working in the round, using the spiral, increasing and decreasing. 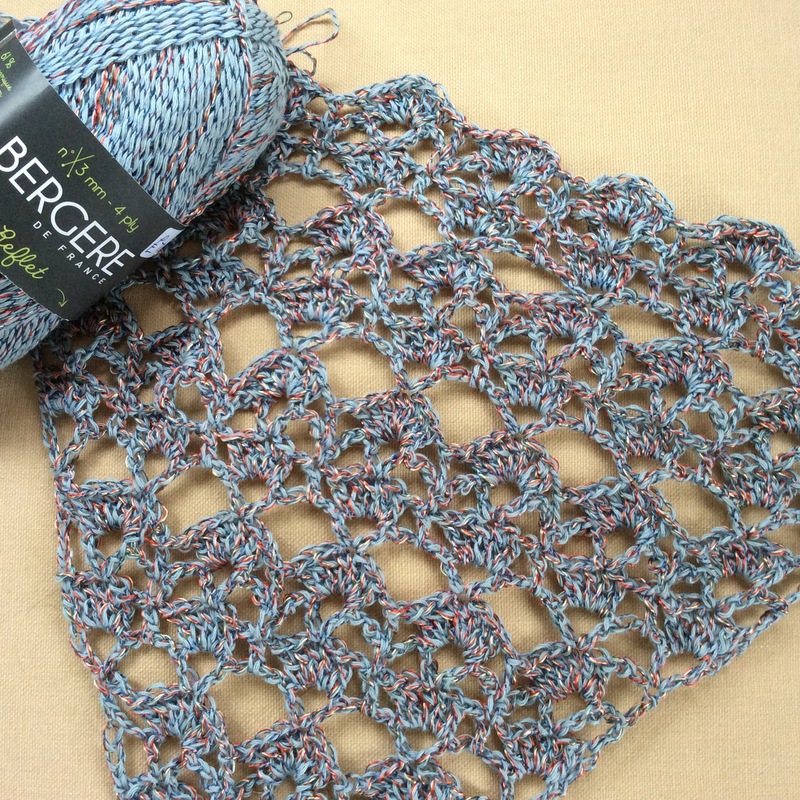 The world is your oyster with circular crochet – amigurumis, bags, beanies, doilies, baubles, covers for pebbles to name but a few possible projects. 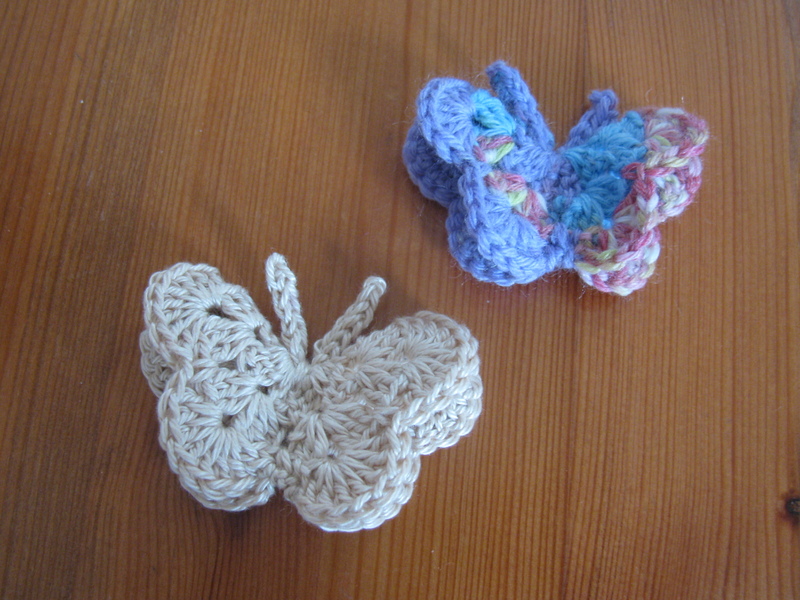 I even found a delightful pattern for the cutest butterfly which I couldn’t resist trying. 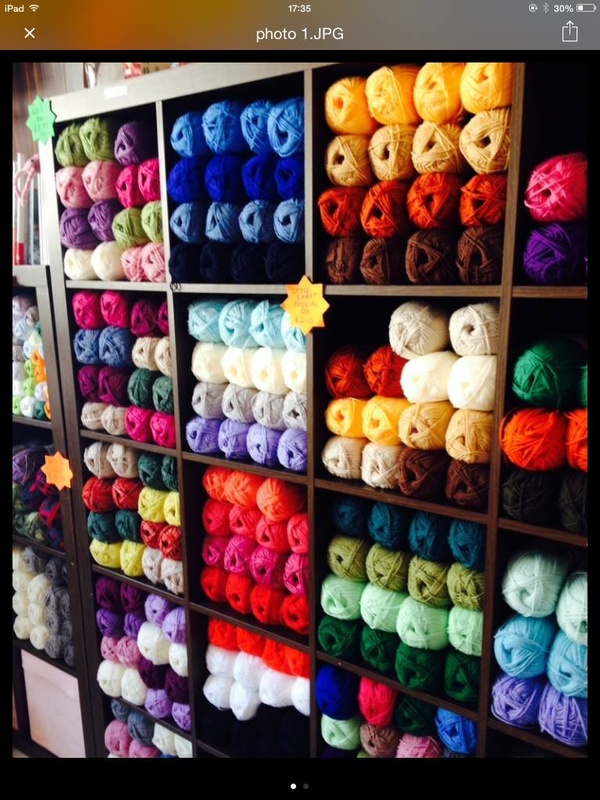 Really good news last week -one of our local yarn stores, Miju Wools in Gloucester, has just got a reprieve after being threatened with closure – It saddens me when wool shops cannot survive either because the running costs are so high or the customers just aren’t visiting. It is so easy to take these shops for granted and just top up our stashes with online purchases. I simply can’t believe it when people say that nobody knits or crochets anymore but it is definitely true that those of us who do must support local businesses whenever we can. 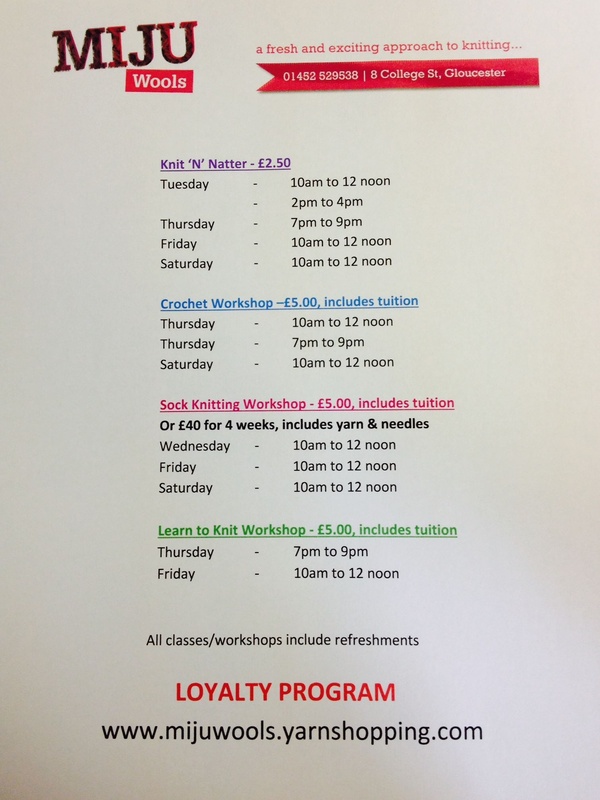 If you live in the Gloucester area take a look at Miju Wools on Facebook – there’s lots going on there at present and plenty of different daytime and evening classes. Well, that’s my little bit of support for small businesses done. 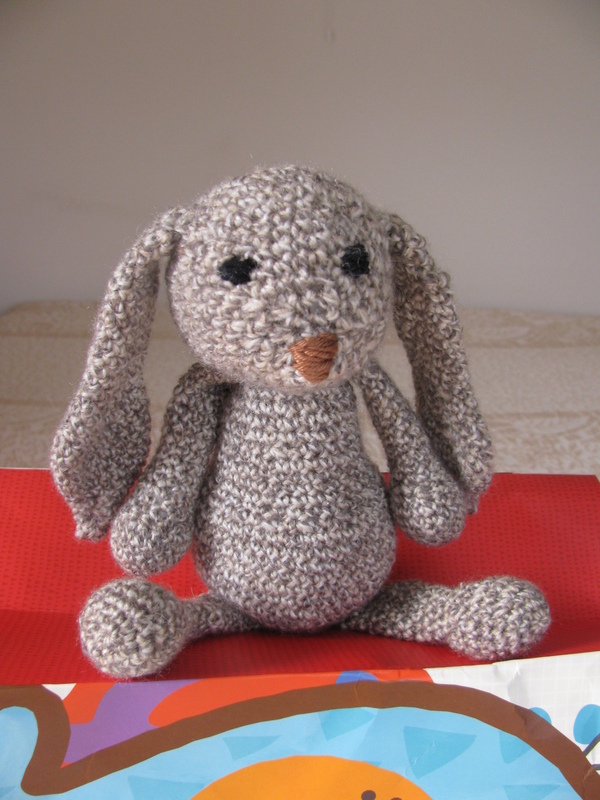 I’m off to deliver a couple of the Woolly Prawn kits to the shop today along with a few crochet covered stones. 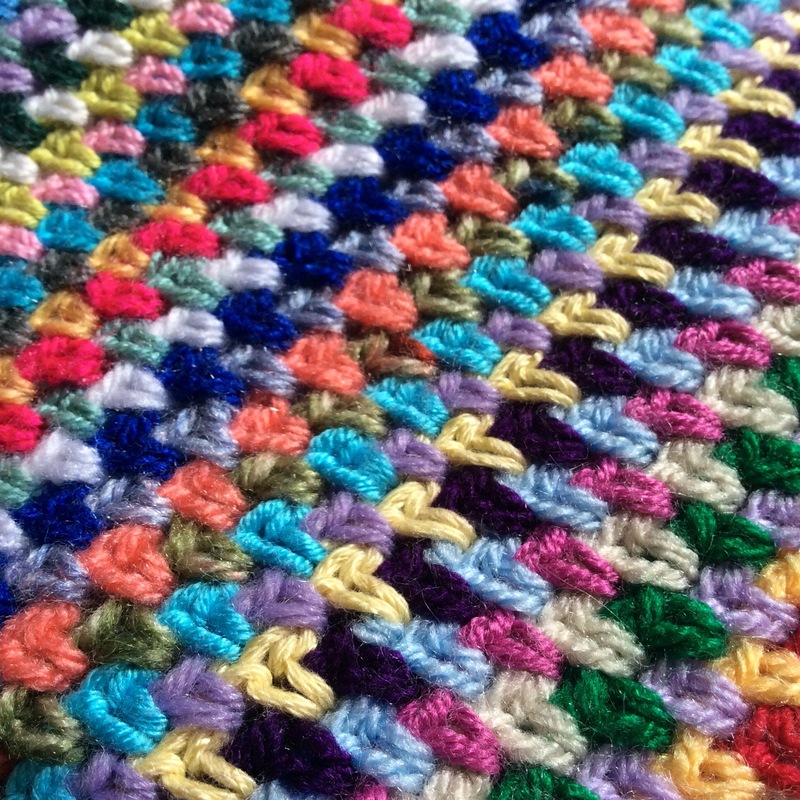 Keep spreading the knitting and crochet love wherever possible.